Everyday Underwear: Do You, Would You, Could You Pee in the Shower? Where life meets Cindy Brown and a very realistic life-size humor baby is born. Do You, Would You, Could You Pee in the Shower? Those Who Pee in the Shower and Those Who Would Never! Let me start by stating that I am a grown woman. I am not an unruly man nor am I a rebellious teenager. I am edu-ma-cated with “some college.” I wear name brand clothes. I live in a nice house with a marble fireplace. I live the quintessential American Dream, playing the role of wife to a fantastic husband and mother to two beautiful children. I also pee in the shower. Quite frankly, I feel that it's a complete and utter waste of natural resources if you don't pee in the shower. I haven't done the math, but I suspect I may have actually saved as much as an entire tree branch with this practice. And the savings have surely added to our household pocketbook. Toilet paper costs money, people! You know the saying, “A penny saved is a penny earned!” Do four sheets of toilet paper equal a penny? I think so! Probably. And think of the water savings as well. Why, I'm saving the planet one less flush at a time. 1) Early morning bladder control is a must. It takes at least a few minutes to turn on the light, get the hot water going, and disrobe before you can release the floodgates. Not everyone is capable of maintaining their morning pee composure for this length of time. There are standards. If you are a person who wakes up and barely makes it to the toilet before peeing right down your very leg, then you are probably not a candidate for peeing in the shower. However, if you can hold it for at least three minutes pre-shower time, you are a candidate. 2) You can't be grossed out by pee touching your body momentarily before it's swept down the shower drain. Don't get me wrong. I wouldn't want somebody else's pee getting on me. Ewww, gross! However, I have been both a nurse's aide in the developmentally disabled wing of a nursing home and a mother, so I have been peed upon, and plenty. It helps if you possess at least the slightest smidgen of tomboy or farm girl in your DNA, and you must be able to hock a loogie at least five feet without getting any on you. If you do not know how to hock a loogie or you do not know what “hock” or “loogie” refer to, then you, my friend, are not in fact a candidate. However, if you knew exactly what the preceding phrase meant and you made mud pies as a child and you've peed on the side of the road with nothing to wipe with even once in your lifetime, you are a solid candidate. 3) If you have ever sat a little cockeyed on a public toilet because you didn't want the cooties you thought might be lurking there and you therefore tried to balance on one square inch of one thigh and your pee therefore accidentally took a detour down your leg before cascading like a waterfall off the edge of the rim into its intended destination of white ceramic bowl, you might just be a redneck. Oops, I meant to say, you might just be a candidate for peeing in the shower. 4) If you can reasonably deduct that you are washing away filth and cleansing yourself thoroughly after peeing in your shower (which you should be - helloooo), so who cares if you pee in the shower anyway because the whole point of the shower in the first place is to clean up yo-self, you are definitely a candidate. 1) You put three layers of toilet paper neatly on any public toilet seat and sit perfectly perched like a cadet at attention each and every time you sit on the throne. You are not a candidate for peeing in the shower. 2) You wash your hands more than ten times a day. You are not a candidate for peeing in the shower. 3) You iron your sheets and obsess over your home like Bree Van de Kamp on Desperate Housewives. You are not a candidate for peeing in the shower. 4) You call your mother more than once a day, every day. You are not a candidate for peeing in the shower. You are too much of a mama's little baby and are not independent enough with your own thought patterns to even think about peeing in the shower. Shame on you! P.S. If you read this and your first inclination is to call your mother to complain about number 4, and you are offended that I called you a mama's little baby, don't be - hang up the phone. It's a humor blog. Brush it off an have a laugh at yourself. It's a joke. Do not fill my comment box with hate-ments. I just made up that word, "hate-ments" - hee hee! 5) If you're right now screaming, “Too much information! TMI! 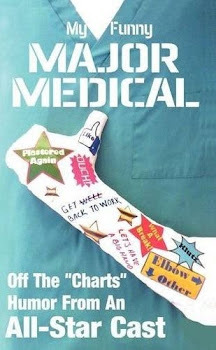 TMI!” you should have stopped reading when you read the title and you will probably need a stiff drink to settle down after reading this very upsetting blog posting. Have a lovely evening, dear, and enjoy your Grey Goose vodka martini, Bree. You are not a candidate for peeing in the shower. I, however, will continue to save the planet, four sheets of toilet paper per day, one less flush than you, deducted from our household's daily usage. I'll do it my way. Doesn't bother me! Besides, who will ever know? I always pee in the shower - saves time, saves TP, and urine was the original ammonia solution anyway, right? I'm not sure that prissy and motherhood are a good fit - goodness knows pee is not the worst substance I got smeared with, back in the day. P.S. Am getting to really LOATHE to captcha on blogs - consider takings yours off, pretty please? I know a lot of people beginning to refuse to even comment when blogs have 'em. Beverly, I hate captcha too and it was already on my to-do list, so I just did remove it! I think I did anyway. The next time you comment, please let me know if it's still there. Too annoying! I never considered that option before. I used to worry that shower water went into the grey-water part of the sewer system, while the toilet water went into the human sewage part of the system. But that makes no sense, since it would require an incredibly complicated set-up. So, as an environmentally friendly and non-squeamish girl, I'll consider your suggestion! After all, I do blow my nose in the shower and it works wonders: since I started that practice, I find that my often persnickety sinuses tend to be a lot clearer all day. Maybe it's something to do with the steam? I never considered the sinus clearing bit until I overheard my step-sister doing it. It does sound kind of gross, so I don't recommend doing it within hearing of a romantic partner. Oh, Cara, it made me laugh that you thought that hard about the post. Now if you start to pee in the shower, it will all be because of me and that's power! Ha ha ha! BTW and TMI from me, I also blow my nose in the shower, girl! You are not alone! Hi Cindy, I laughed when I read your comment about not wanting to offend anyone who receives your blog posts via Mother Writer. Earlier this week I was on the receiving end of a massive Internet hate campaign over an essay I wrote on circumcision that I'd submitted to an essay contest. Hopefully no one gets that crazy with you. Keep the essays coming. I enjoy them! Well, you know, I try not to tackle controversial issues like religion, politics, or circumcision... wait, what? That's so funny! People find a way to hate what writers say no matter what our opinion is, don't they? We writers must keep tough skin intact. Shoot, someone will probably put a flaming bag of urine on my porch after reading this one. LOL! Now you should both know that you both entered this year's 2KoP contest. Thanks again! I'm a new follower. I read, review, blog, but don't publically write like I should, could, want to...hopefully you can inspire or motivate me. I'm working on it, on me. Great post. Thanks! Well, welcome then, newcomer! I hope I can entertain you here and there and I have to been known to inspire, motivate, irritate... but I digress. LOL! I've peed and blown my nose in the shower my whole life. I don't know what the big hang up is. Think of how much water we would save if EVERYONE peed in the shower! Babycakes, I'll get a petition going and you start some sort of 2% movement in Washington, D.C. We'll save the planet! [Marching around holding signs, chanting] Save. The. Pla-net. Save. The. Pla-net. Save. The. Pla-net! If memory serves me right, I did pee in the shower when I was in my early teens, and suffice it so say I found it gross! I asked my husband if he has ever peed in shower and he admitted a proud "yes!" Well, I yelled and threatened, but I've never asked again. I don't want to know. LOL! Finally! I didn't think anyone was going to ever say "Gross!" Glad it gave you a giggle! Hey, pee is sterile. No need to worry. Save the flush, pee in the shower. Yep, I pee in the shower, I squat in the forest, I love to pee freely, lol. Loved this post, thank you, giggled my bum off! Free the pee! We will chant that at our Washington, D.C. rally to save the planet one shower pee at a time - ha ha! What a laugh...one again you captured my attention. Thanks...yep yep yep, keep them coming. OK, yep, yep, yep I will! Who cares if you're washing it away with water at the same time. Isn't pee mostly water anyway? That's kind of how I felt, Katherine! My husband said this morning that he's heard some people will pee in the shower to help get rid of Athlete's Foot. I don't know if that works or not, but maybe it is like peeing on a jellyfish sting. Why, who knows what urine could do if we'd give it a chance! LOL! I am so shocked at how many people are confessing. I should build a confessional and talk to people through a mesh partition. I signed up to follow you too since we have similar "green" interests. Do you follow One Good Thing by Jillee? I'm getting ready to try the home-made laundry soap - I saw you had the recipe on your site too. Welcome to Everyday Underwear! I hope to entertain you! I pee, and I'm proud! Shout out to my fellow peeps! Get it, "pee"ps! Ha ha! I'll pee in my own shower, but not if I'm in a public shower block or at someone else's house. Seems kind of rude to me. Ann, you bring up a very good point and I am with you. If any of you blog readers ever invite me to your house, I will pee in the intended receptacle only. Cindy, I only pee in the shower. I find the lack of constraint relaxing—and the uric acid does wonders for my tiles! My problem is, I poop in the sink. The shower peeing has not affected my family at all. Mostly because they don't know as there is a distinct lack of evidence. But the sink pooping is becoming as issue. I've tried using an old spatula, that didn't work. The steel scoop from the ice bin left marks on the ceramic coating so it's out too. Oh my gosh, you're crackin' me up with that comment, stranger! Love meeting people on this blog with an equally sharp wit! My advice: Go to the local Wal-Mart and look in the cleaning products aisle. There you will find a product called "Poop-B-Gone" and a special tool for use in the sink. Glad you found this forum. You can thank me when you return from Wal-Mart. I'll never tell! Well, to be truthful, I might tell someday if I did that, but not in this particular post. LOL.............sure glad I found you and your humor. I also pee in the shower as I refuse to waste a flush! It all ends up in the same pipe anyway. My wife on the other hand would NEVER! She can be swimming in the ocean and will come all the way in to the beach, trudge through the sand to the restroom 1/8th of a mile away...pee.....and reverse her steps. Yes I think you should set up your own confessional! You'd do a booming business but I'm afraid you'd giggle behind the slatted walls, giving away the fact you had already done what the one confessing had done! Hello and thanks for stopping in. I visited your blog in return and you write well. Rare! I signed up to follow. Love the cut on the cheek story. Oh, and as for the ocean, it is totally fair game. Just imagine how much pee whales must put in there! Well, thank you so much for stopping by! Lucky for you, I do not grade comments for their humor content. The grade is for participation only, LOL! Hope to see you again in the blogosphere. Found my way back here from your comment on my blog...how fun! Thanks for stopping by! Please come again. P.S. I'm very impressed with your multitasking abilities. I bet the shampoo leaves your teeth really silky and shiny! Years ago, I remember watching Oprah and she asked her audience if they peed in the shower. Then "The Oprah" admitted to it and I was like that is so cool because I'd been peeing in the shower for as long as I can remember. My grandparents would be proud of me because they always harped about conserving water and would only flush the toilet every few times. Down the drain is better than sitting in the bowl! I knew it! Always thought Oprah and I were on the same page... ha ha! I am loving finding so many fellow shower pee-ers. Peers. Peeons? LOL! Glad I am not alone. But, I draw the line at peeing in the shower (and for me it has nothing to do with conservation, it's just easier! ), no peeing in a pool or even in the ocean. That's just gross! There is a reason why there's so much chlorine in pools, but I don't find the bathroom that hard to access, so I don't do that either. The ocean, well, that one's debatable for me. I mean, fish pee, right? But I guess they're just peeing out the same water they drink... oh heck, it's too early in the morning to think that deep! LOL! Of course I pee in the shower. Who doesn't? Actually, I'm sure there are many that don't, but I think the majority of people do. But the first thing I do when my feet hit the floor is 1) let me dogs out and 2) hit the toilet. Actually, I have coffee and get on the computer before I hit the shower, so no way am I waiting that long. 3) Iron sheets. There are people that actually iron their sheets??? Ummm... why? 4) Call mom more than once a day. Well, when I went to college, I basically just called mom when I needed money. But she died unexpectedly when I was 21 so I regret that to this day. So, college-kiddies... keep that in mind. 5) If they're now screaming TMI.. pretty damn good. They made it to the end of the post - so they must be a pee-in-the-shower-er. Michelle, thanks for breakin' it down for the readers ;0) and stopping by to leave a comment. Always love a fellow PITS-er. As a new and it appears, one of your minority masculine followers, I felt compelled to read your award winning entry. I had a good laugh. My only disappointment was that you didn't give the criteria for distinguishing between males that do and those that don't. Or did you assume that all men do? Hate to tell you, but my experience in the military indicated that some men are more fastidious about that sort of thing than are most women. bladder as you age. And I can totally smell it when you people pee in the pool btw. I had to stop lap swimming at the YMCA because someone would inevitably pee in a lane near me and make my hair reek all day. It may be sanitary, but it smells disgusting. Also visit my webpage "Crater"
my web page :: "deckle"
I haven't been on blogger.com recently, just came back today. Amazing post. I thank you for sharing it to us. I have learned very much. I would claim to be a "would Never!" but at my age and (extremely low) level of physical prowess, peeing in the shower is a grand sight better than peeing in my pants.. Kidding! kind of -- not really. I claim qualification 1. and my aforementioned attributes to cry off peeing in the shower. Good for you on water conservation and *spoiler alert - providing a good laugh. Thanks! Aha! And yeah, I never get athlete's foot, strangely enough, LOL! Thanks for reading about my bathroom habits ;0) I pretty much bare it all on this blog. Glad you love it - you've been warned, lol! 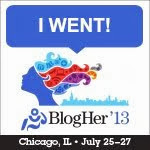 I Survived BlogHer '13 Chicago! My First Book! I have two posts in this humor anthology. Wife Swap - Where Would They Send Me? Show Your Support-Grab A Badge! 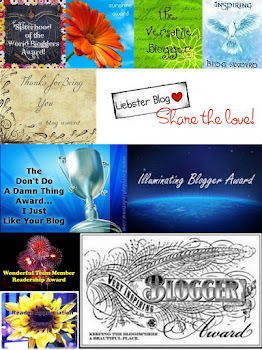 Blog Nation Badge - Vote Me Up! Follow Everyday Underwear by e-mail! Pass the Karma, Please! Click the green button already! Feeds to Twitter only at this point! © 2011. Powered by Blogger.